Prabha looked at the system time in the far corner of her computer screen. It was 5.30 pm. Chinni would be standing at the gate of her creche, looking out at the road, searching for the face of her mother. Mustering courage, Prabha walked up to Govind’s desk to tell him that she was leaving. Govind was her Project Manager and was very strict when it came to meeting deadlines. He gave Prabha a look that would make you think she asked him his property and not permission to leave. But it was a legitimate reason and Prabha had stated it in no clearer terms before joining the project. If he refused to let her go now, she could create trouble by taking the matter up with the HR department. And Govind didn’t want to drag HR into this as it would reflect badly on his managerial skills. So reluctantly he gave her permission to leave and watched as she hurriedly wrapped up her tasks, shut her system down and literally ran towards the exit. Prabha came out of her office complex and looked for an auto. By the time she found one who would take her to the creche, haggled over the fare and reached the gate, it was past six. As expected, Chinni was at the gate, clutching the grills, tears in her eyes. As soon as she saw her mother her face lit up like the morning sun and she ran towards Prabha. As Prabha took her into her embrace she could not hold back her own tears and was cursing her wretched job that kept her away from her sweet daughter. Prabha woke up with a start. Chinni shuffled in her sleep, snugly dozing between Prabha and Naren, her father. Prabha slowly realized that it was only a dream. But it seemed to be a glimpse of the future to her. She had got an offer from a leading software firm and was supposed to join the company in two weeks. Prabha pulled herself together and got up to make a cup of tea though she could not take the dream out of her mind. It was nearly two years since Prabha had left her last job to take a break for her delivery and nursing. Now that Chinni was two, Prabha was finding that she was getting some free time at home and wanted to do something useful in it. She had had a successful IT career for seven years before she quit and before that she had been a bright student both at school and college. So Prabha didn’t want her skills to get rusted sitting at home. 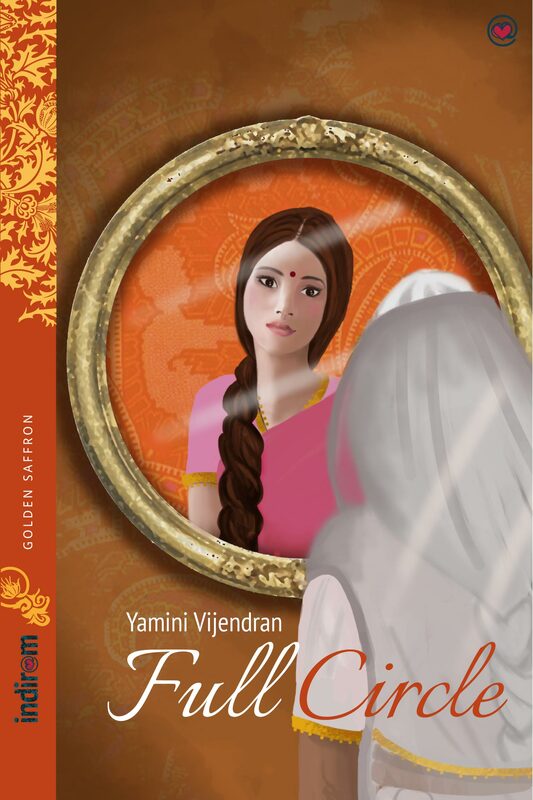 But at the same time she didn’t want Chinni to face the same loneliness that she had faced in her childhood, when her mother would go off to work and Prabha had to fend for herself till her mother returned. Prabha knew that her mother also had struggled a lot, working hard at her job and returning home to do all sorts of chores to ensure that her daughter did not feel her absence. Now that she herself was a mother, Prabha did not want to put her daughter and herself in the same situation again. Prabha’s mother had been forced to work in order to complement her father’s earning, which had been modest, so that together they could meet the expenses. But Prabha had no such constraints. Naren was a high earning automobile engineer with a steady job with one of the largest luxury car manufacturers in the world. His income was more than enough for their family. So Prabha could easily afford to remain a home maker and shower all the love on her daughter that she herself had felt deprived of when her mother was working. However, where on one hand Prabha had this strong desire to stay at home and look after her child, on the other she feared that it would render meaningless all the knowledge she had gained. She was apprehensive about becoming the typical housewife who knew only about taking care of the family and forgot her individuality. After a lot of deliberation, hours of discussing with Naren, her in-laws and her parents, Prabha decided to join the software company. Everyone had emphasized to her the importance of having her own career. She would have to leave Chinni at the local creche, but that was something that could not be avoided. Though Prabha’s mind accepted this, her heart ached and shivered with trepidation. Prabha was not entirely sure that her decision was correct, and today morning’s dream only seemed to affirm the same. Naren noticed Prabha’s drawn face as he sipped the tea she had made for him. She was reading the morning newspaper and not looking at him, but after 2 years of marriage he could read a lot from her face. He instantly knew something was not alright. He went and sat down beside her and asked her what was wrong. Prabha told his about the dream and how she was feeling uneasy over her decision. Taking her hands into his, Naren said, “Sweety, I have told you many times before and I tell you now. Do not do something just for the sake of doing. Listen to your heart. If you don’t want to work, don’t work. We do not have any financial constraints here. Just do that which will make you happy”. “But if I don’t work I will feel useless! I don’t want my talent to be wasted…” cried Prabha. Thrown an arm over Prabha’s shoulder and pulling her nearer, Naren smiled and said, “Your talent need not go wasted Prabha! There are a lot of things that one can do from home. You can study, you can do some freelancing… Hey! Do you even remember that you have a great gift? You can write Prabha! I know how beautiful your words are! Yes! That’s it! Prabha, why don’t you try your hand at writing? Write something, anything, anything at all that crosses your mind. Just write. Search the internet. There are so many forums where you can publish your work! I know you will like it”. Prabha was not quite as certain as Naren, but was amused by his enthusiasm. She had written few poems and stories when in her past company and posted them in the internal mailing lists of the company. Her work had received fair appreciation from the readers. She had also posted them on the blog she maintained. When she first met Naren, she had shared this blog with him. She never had an idea of how much impressed Naren was with her posts. Not sure how it would proceed, but nevertheless buoyed by Naren’s enthusiasm, she decided to give writing a try. An opportunity to have her talent recognized by a wider audience and fulfilling her dream of making it big while still having enough time to care and nurture Chinni and her whole family seemed a mouth watering proposition compared to the stress and demands of an IT job. She still did not know if she would be able to do full justice to both her talents and her duties, but what was life without trying? Giving Naren a long kiss, she picked up her phone to call the HR from the software company and decline their offer. Chinmayi looked up from her laptop screen with a smile on her lips. She always liked to read her mother’s first publication, her own story, whenever she was in a dilemma. She picked up the phone and started typing a text message, “A high profile job alongside a family alone does not make a woman a supermom. The superb manner in which she nurtures her family AND her talent, does. I love you, Supermom”. Picking her mother Prabha’s number from the list of contacts, she hit the sent button.